a bit around my house. Jess gave me the one on the right. This candle smells so good. I've always loved red plaid. and it was half off. Will I ever have a white Christmas? to try and stay humble. putting out the things we love. Wishing you a warm and cozy weekend. Your Christmas decorations are so pretty! I love those snow globes! I was looking for a blue themed nutcracker, but I haven't been able to find any! My birthday is actually on Christmas and I can't wait to get started on decorating! Have a wonderful weekend Sheri! I love Christmas too and it's so nice to see some of your decorations. Those snow globes really caught my eye - I'm a big fan of them and I can see how pretty they must be when shaken. Love the mug too - just this morning I have a bought a table cloth and matching napkins in that red plaid. 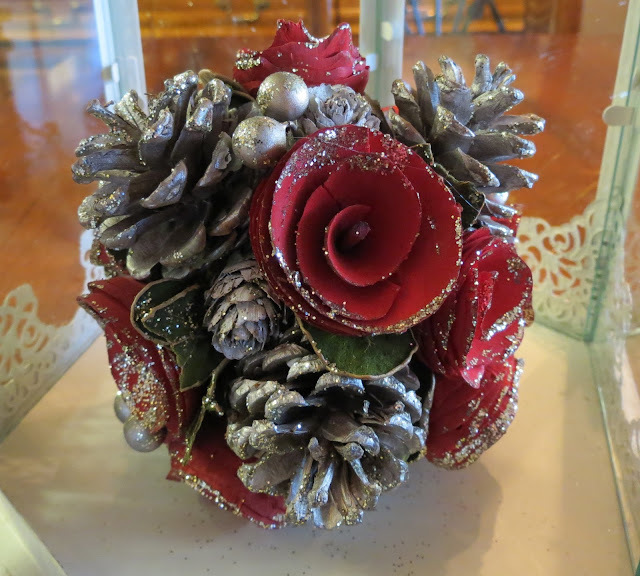 Very pretty and elegant Christmas décor, without overdoing it ! 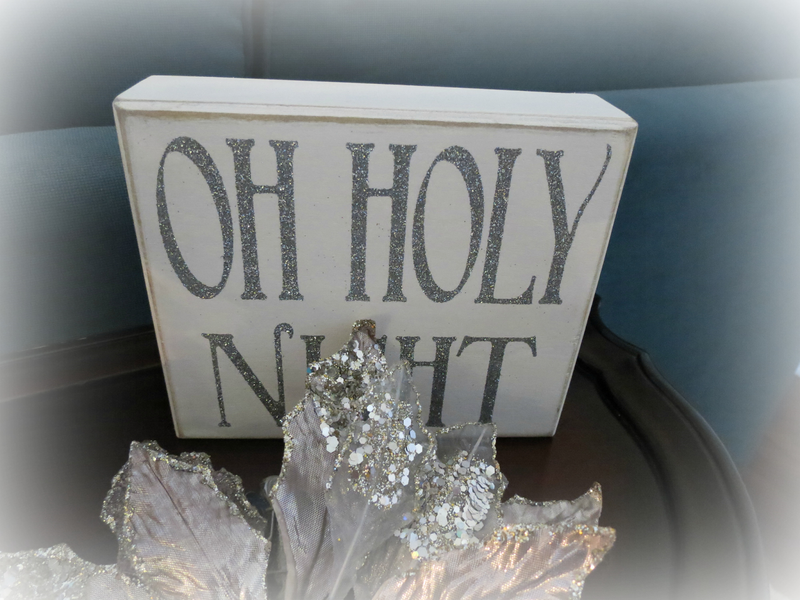 All your Christmas décor is lovely and whimsical! Especially love your nativity snow-globe... the true meaning of Christmas!!! 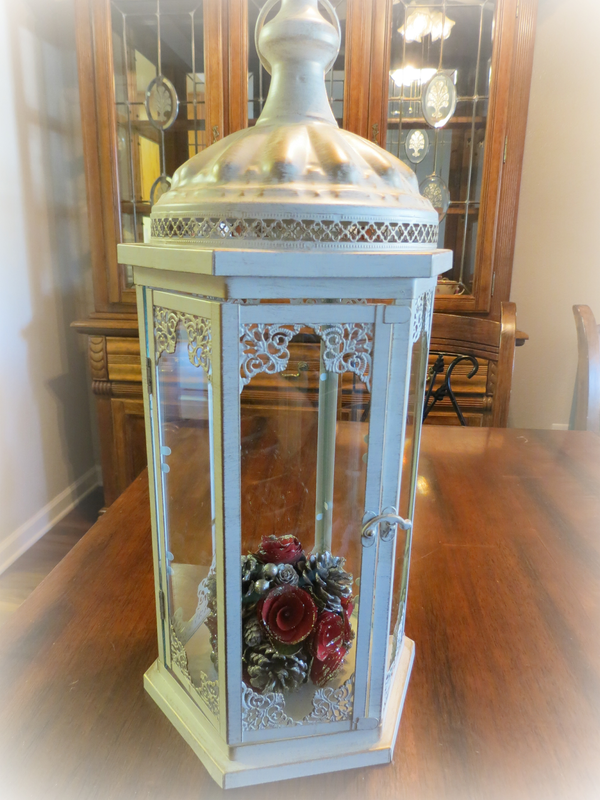 The white lantern is so pretty and each touch is very creative! Our Nativity is displayed and our Christmas tree is up and decorated! Love watching all the Christmas movies by the glow of the Christmas tree throughout the entire season! Red was my favorite color when I was young; then I made way for other colors. And now in my 'mature" years I came back to red. A full circle. I like the red rose, the red mug, the red hat..and everything else red. I even ordered recently a red tricycle to combine sports(pedalling) with travel. A lovely post Sheri, so nice to see your decorations. One of our grand-daughters loves snow globes ... maybe she will have a collection as she gets older, we shall see. I do like your snow globes, I can never resist shaking them. Our shops have many lovely Christmas items, and I'm sure I will be tempted to buy a few new ones to mix in with some family favourites. I do agree with you, house or home decorating is all about putting out the things we love and treasure. I agree, Sheri. Christmas is about putting out the things you love and saving them from year to year. I have some things that I can't bear to part with-that I hope someday my children won't be able to part with either. 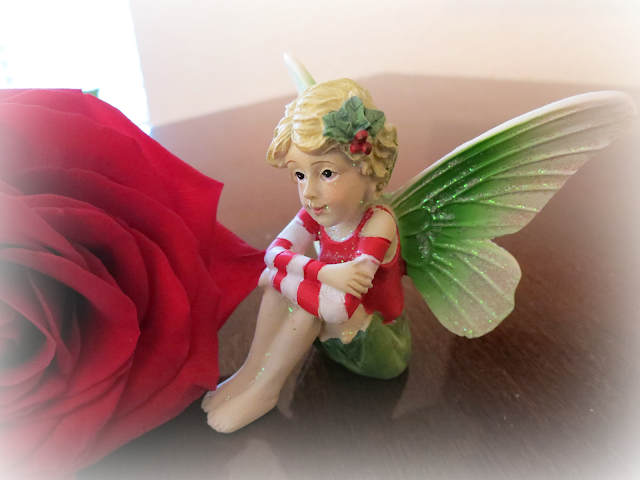 I feel the same, there is something very special that the spirit of Christmas brings and so often it's undefinable. Your collections looks great, very creative. I enjoyed seeing your Christmas treasures. 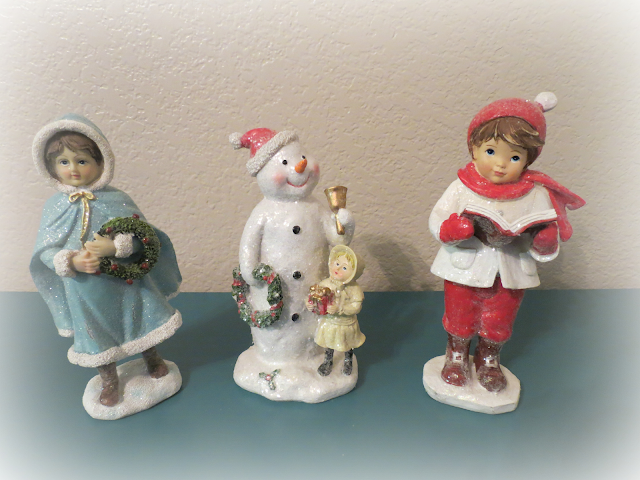 My favorites are the frosty people figurines. I adore snowmen figures. I already have two small trees decorated. You have many interesting and pretty Christmas decorations, Sheri. The silver is beautiful, but I am most impressed that you have found pretty red rose ornaments with snow and Christmas elements. Gorgeous! Hello sweetness! I started my decorating on Wednesday night, but with only one item. This weekend is the time I will bring out what I have and enjoy it. We had a our first snow yesterday, and that's enough decorating for me on the outside. Oh the joy of the season! Wishing you peace and love and friendship, always. Sheri I agree and your house reflects a happiness and coziness of heart and home. I have not started to bring up Christmas items. But will starting the day before Thanksgiving. My holiday decorations will reflect more a winter theme for me. I agree, decorate with the items you love ... that is what makes a home feel so much like a home sweet home. I like the snow globe with with red cardinals. I am a huge fan of nutcrackers too. I have a beautiful collection of them. My boys love to help me put them out each Christmas. I love your style Sheri. I've always been drawn to red plaid too...or any plaid for that matter. Holiday items don't always have to go perfectly together. If we love them, that's perfection in my book. Okay I'm playing catch up here. I love your new header and living with passion is definitely a must. Sorry to hear about the circumstances on how you came across your new home money,but thankful it came to you in divine timing. I enjoyed all your Christmas decor, country, and rose photos. Hope this upcoming week is splendid. Your home is so full of Christmas joy and spirit.. I love the way you have decorated. I love your humble girl, and she looks so sweet in her Santa hat. Thank you for coming over to visit and such kind words. In answer to your question, I prefer to keep my originals, but if you are interested I would be happy to offer an 8x10 print, but would need to be after Thanksgiving so I can go have it printed out. I hope to be well by then, I have not been real mobile this past week. Completely enchanting, Sheri. I love your humble girl with the hat. It's all beautiful and you have some wonderful finds. I am eagerly anticipating the day after Thanksgiving when I begin to power decorate! I'm trying to get ready by bringing up some things and stashing them in the guest room for easy access -- and getting the holiday out of town gifts wrapped so I don't have to wait in line after Thanksgiving. But I truly cannot believe that it is that time yet. Ah, fa la la! Thank you so much for your sweet comment dear friend. I am pinning this loveliness too. Very elegant, indeed. I did receive your mail, I'm sorry I didn't answer... thought I did ! I prayed immediately and will with my ten-twelve friends next Wednesday. I put you in my check list. Don't worry, God listens every time !! Will be joining you with the decorating soon. I gave away almost all my Christmas decor when we moved in January, except for collected ornaments with sentimental value. The star here is my favorite.